Techno Boots™ I: Interlockable single level boot tray. Sold in packs of three. 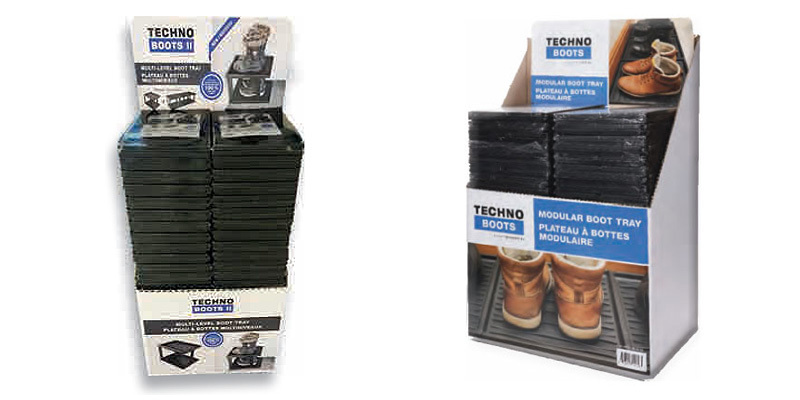 Techno Boots™ II: Interlockable and stackable double level boot tray. Sold in packs of two.